Christian Living Communities and Cappella Living Solutions are Great Places to Work! 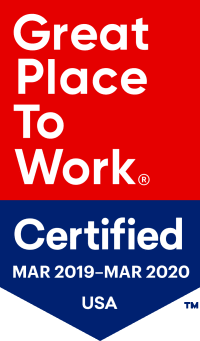 Christian Living Communities and Cappella Living Solutions are excited to share that our organization has been certified as a Great Place To Work®! That means we join national leaders, including companies on the Fortune100, in providing amazing work cultures. This accomplishment happened after our team members completed a survey in February 2019 responding to questions about how they feel about their work and our organization as a whole. Of those who took the survey, 84% believe that this is a great place for them to work, which we believe contributes to the amazing care and services we offer to older adults. Additionally, 92% feel that their work is not “just a job” but something special. To learn more about this national recognition, visit the CLC/Cappella Great Place To Work® page. We also learned about some areas of opportunity and will continue our journey of improving our workplace cultures in each community and Rhythms Home Care.